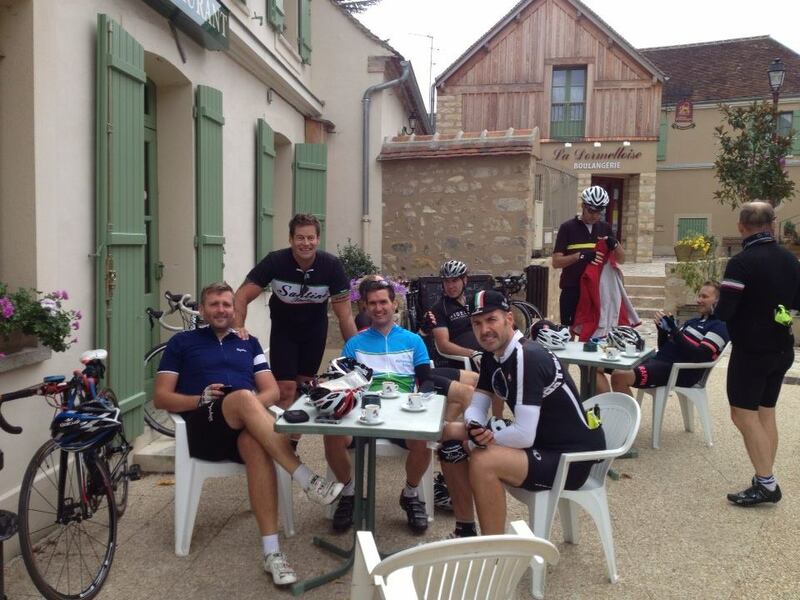 In early 2012 a group of friends started planning London2Paris which I could not be included in due to a family holiday (the truth was that my wife said “go at your own peril” common sense being the better part of valour I chose our family holiday). I was over the moon when on their return everyone was up for the next stage Paris2Geneva 2013, I was definitely going this time. Having signed up for the Paris2Geneva Adventure I needed a charity to raise money for and it appeared to be an easy choice as 16 years ago our daughter Megan was born with both kidneys malformed and also a heart defect, she was born in University College Hospital London and transferred immediately to Great Ormond Streets` neo natal ICU. Despite the amazing care she received and her determination to live she died only 13 days old. I decided that GOSH would be my worthy cause. Shortly after this decision I visited an old friend of mine (Emmas` uncle Paul), we did some catching up and I asked after Mark and Lynn and he told me about Emmas` Bubble Trust. When I got home I looked up their website and my decision was made, I had really wanted to be able make a positive impact and here was my opportunity to help with something so very worthwhile, and reading about Emmas` Army on the website especially touched me. Our training started in earnest around the spring of 2013 with plenty of miles under our belt and a great diet to match, I can only say we must have peaked too soon as when August arrived I was 10 pounds over my target weight and dreading the infamous Col de la Faucille, an imposing Tour de France challenge of 23 miles of hill climbs at 5-11%. I have also since discovered that McFlurries are not part of the professional cyclists dietary requirements. Our bikes safely packed in the support vehicles there was nothing else to do but sit back and relax and enjoy the train ride as we speed our way through the French countryside, nothing to do that is unless you are me and decide to fret the whole way there about my now non-existent fitness and ability to meet this challenge. We arrived safely and unpacked cases and bikes, carrying out all the last minute checks like have I brought enough chamois cream (sore bum cream to the uninitiated). Well it sort of started off ok, we had to cycle 5 miles to the Eiffel Tower and within 1 miles zee French saboteurs had removed all zee road signs and we were lost, using our fluent French language skills of very slowly and loudly saying `Eyefull Tower` many times over we were kindly directed by a Parisian fluent in `pidgin` French and eventually found the start point, a land mark that I grant you would be easy for anyone to miss. We had a lovely day of gentle undulating French countryside with no other mishaps. Woo Hoo! Another day started in nervous anticipation, the team I am cycling with is made up of myself plus 6 very fit cyclists of which I don’t consider myself in the same league, I was determined to keep up though and gave it my best shot. Not a bad effort at all even if I say so myself. The more experienced of them offered some great cycling advice which in hindsight I probably took too literally. It has become apparent that hills are my nemesis and where I always fall behind, I was told to find a comfortable gear, get my breathing and heart rate manageable for the distance and just `head down` and keep turning the pedals. 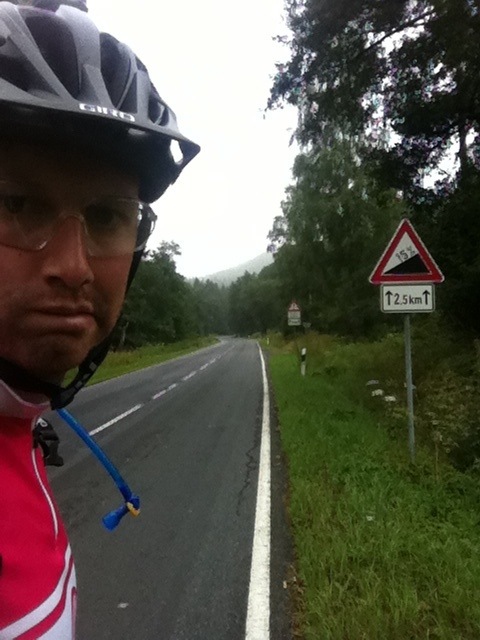 I perhaps took the metaphorically spoken advice of `head down` too seriously and after about a mile climbing a particular hill rode straight into a huge red road-sign with an almighty clang. After some considerable laughter at my misfortune my colleagues advice was revised to “ride head down but do look up from time to time to see where you`re bl**dy going!” this little incident was swiftly followed by me being chased up the road by a huge white Alsatian dog with teeth like a grizzly, not my best day. 7:00 am start, quick breakfast, deep breath and oh my God, half a mile into the day there was a mile and a half long 13% gradient `Mount Everest` of a hill to climb, compared to this where I cycle it`s as flat as a mill pond, I gave it my best shot but two thirds of the way up I swallowed my pride and had to stop, the shame of it! Fortunately I wasn’t the only one. 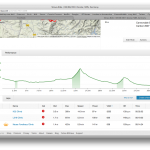 At 37 miles into the ride we approached the foot of the Jura Mountains, as I mentioned before 23 miles of climbing at 5-11% gradient in 2 stages. The first stage of approx 12 miles to the food station was the hardest especially as at 2 miles before the break station someone had pointed our route marker the wrong way and some of us did an extra 6 miles uphill the wrong way, now totally lost our support vehicle found us and got us back on track and we completed Le Col de la Faucille with no stopping (apart from our un-scheduled diversion) which was my goal, we reached the peak with no other dramas and freewheeled our way down in an exhilarating (and somewhat scary) sprint down into Geneva. If I were to sum up in a few words my whole experience of this great adventure it would have to be that I have been blown away by the support I have received and how interested everybody was about Emmas` Bubble Trust and their desire to help. I have to give enormous thanks to Kaye (my wife) for the effort she put into raising money (she did the real hard work), without her we wouldn’t have raised half what we did. 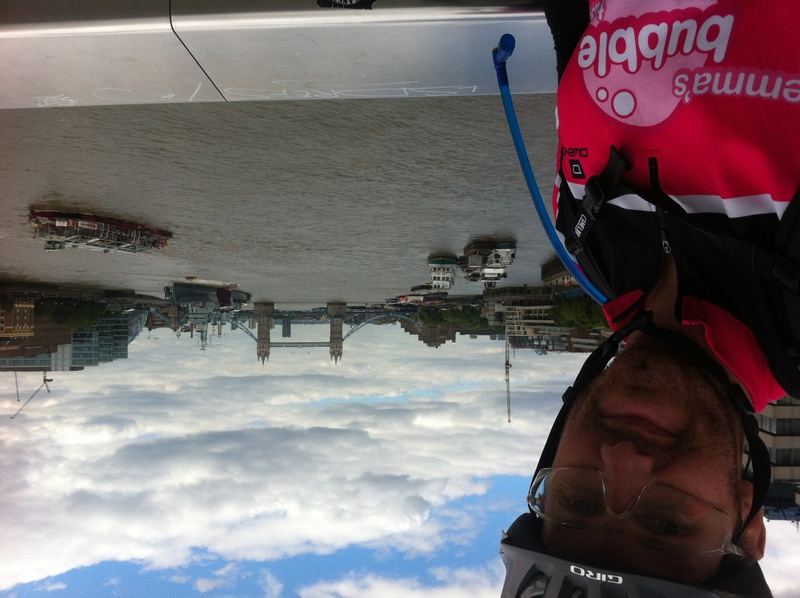 I loved most of the ride and learned much about myself, I am truly grateful to Emma’s Bubble Trust for giving me this opportunity. 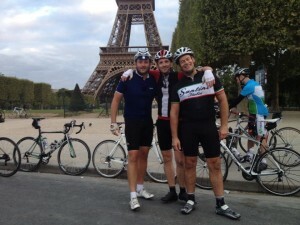 As Graham’s donation tally slowly increases (he’s now at £2615), we thought it best to give you a quick update on his epic ride from Paris to Geneva. After the 2nd day of cycling he and the team have nearly covered 200 miles, cycled into hurricane winds, been attacked by dogs, cycled into road signs and most importantly remembered the moments reflecting at some fantastic cafes. As soon as we hear more from Graham we’ll be sure to update you, but for now enjoy the few pictures that we have. Waking up to the sound of an alarm at 5.30am on the Stenna Brittanica boat just outside of Harwich, was a bit of a shock to the system, and with a proposed 90 mile route ahead of me I knew that it was going to be a pretty tough day ahead. It felt good to be back on British soil and back on the left hand side of the road, cycling along the A12, which if you’ve ever had the chance is ridiculously scary on a bike. Why the Garmin had decided to send me this way I don’t know and so at the earliest point I got off of there and onto some more easily scalable roads. Knowing that I only had 90 miles today I wanted to get it over and done with pretty quickly. Making good time, before I knew it I was in Colchester and it was time for a short break to stock up some energy bars. By this time the Garmin was reading 70 miles to go, which was a real psychological boost and so I plugged on, stopping again at a petrol station for a sandwich, coffee and a box of jaffa cakes (they’re great cycling food). At Brentwood, by which time my legs felt like they wanted to fall off, the super hero dad appeared and offered to lighten the load by taking a hold of the panniers. He hadn’t realised how heavy they actually were and was amazed at the distance that I’d already covered that day. 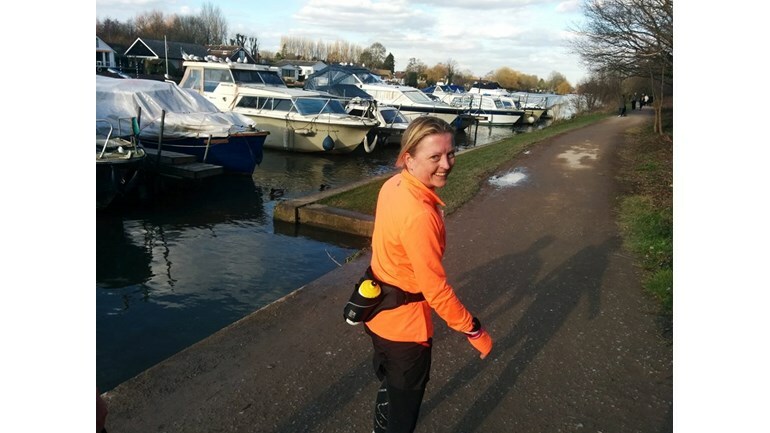 So with a lighter load and more streamlined posture, I was back into racing posture and so shot off towards Romford, Stratford, London Bridge and eventually home. I was really moving and although my achilles were completely shot, I was pleased to be over taking people, by the time I’d reached the 86 mile mark. As I set off along a route home that I knew (ignoring the Garmin) it was definitely time to stock up on some more food and head to Krispy Kreme (sugar boost), where I met dad and we sat for 45 minutes or so. By this time I was only 10 miles or so from home and starting to get excited and so I set off, moving pretty well and thinking maybe (just maybe) I might be braking some Strava PR’s on my route home from work. I’d have to wait and see. 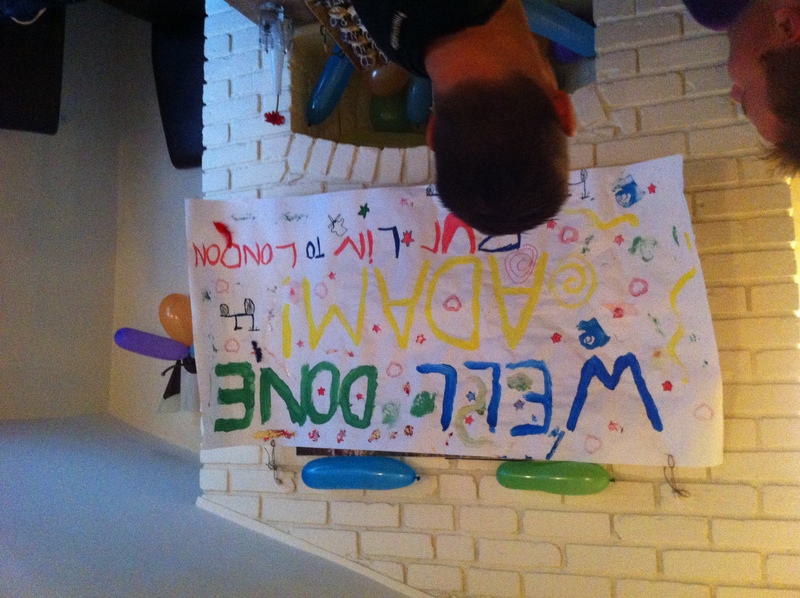 30 minutes later I was walking in through the front door of home, to the whole family who rewarded me with champagne. I’d done it. 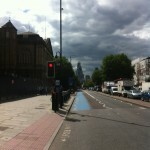 I’d cycled from Berlin to London (with a small cheat one day) in 7 days of cycling. 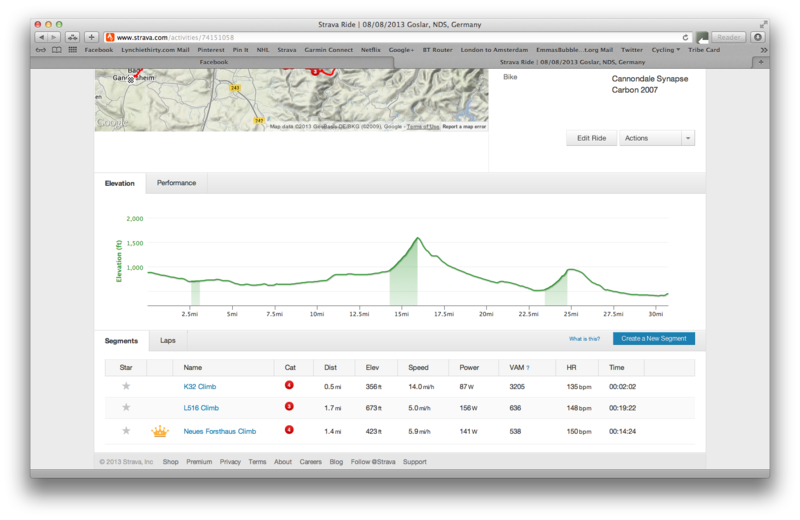 After congrats from the family, the first thing to do was to get all of the data uploaded from the Garmin to Strava. 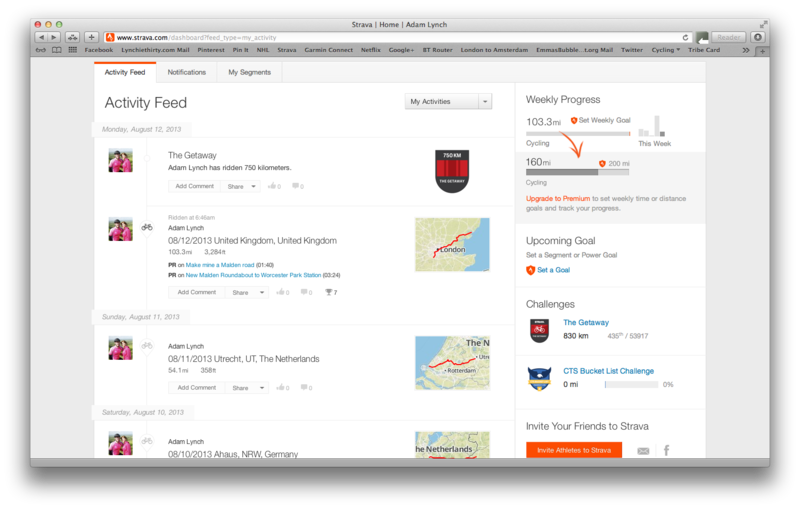 I was disappointed to find out that Day 1’s 84 miles hadn’t saved properly, but the others all had. I managed to get myself a KOM on a category 4 climb in Germany (even though I’m the only person to have cycled it) and overall was ranked 435th of 53000 riders on Strava for distances this month. In total I’ve calculated with the additional 84 miles from day 1 that I’ve cycled 599.6miles and that’s not including the additional miles that should have been added to the ride on day 2 when I cycled near to 150 miles. 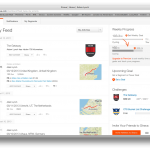 You can check all of the stats here though http://www.strava.com/athletes/1726419. By this time I was ready for a bath and bed and although I got the bath, I was told that we should go out for dinner to celebrate at the Leg of Mutton and Cauliflower in Ashtead. 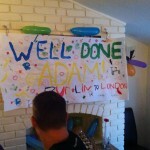 Upon arrival I was again greeted by even more friends, all of whom were there to congratulate me on the ride. It was great to be celebrated, but it really wasn’t needed. Every Moment Matters Always, and with the current total raised at £2050 this has definitely been one of those important moments. 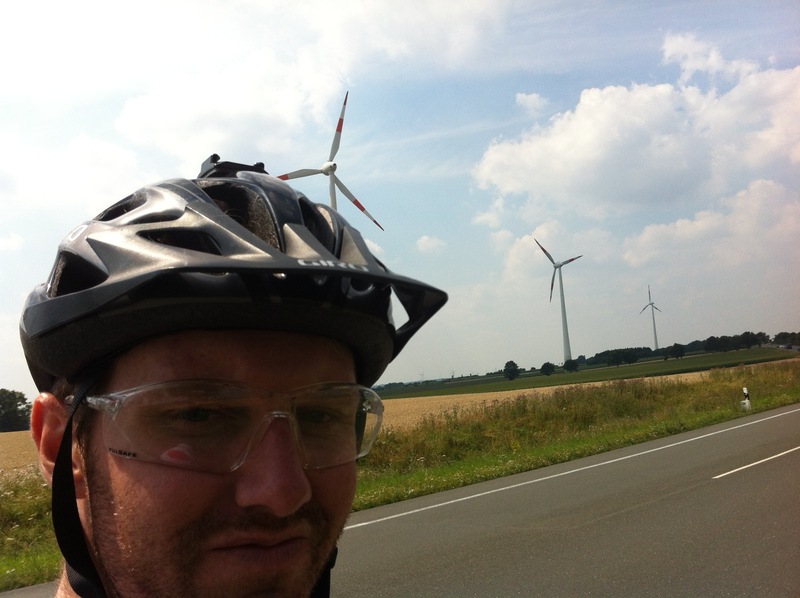 Wind wind and more wind on today’s relatively short but ultimately flat and demanding ride. I left late today knowing that I wouldn’t be able to get on the ferry until late and so I left at 10.30am after a short breakfast at the hotel. The day started off pretty cold with a strong westerly wind, then came the sun, then the rain, then the wind again, then the sun again. I stopped a couple of times to relax the legs and munch on a few cereal bars. I stopped at a McDonald’s as well not so much to eat but more to have a break from the wind and rain. After this though the weather picked up and although the wind didn’t die down I eventually made it to the Hook of Holland at 4.30pm, had a sandwich and a coffee (you could tell it was windy as the foam blew off) and sat in the sun until the place closed. I was then fortunate enough to meet some other English tourers who had taken 3 weeks to come down from Denmark and had had a great time. Again they’d complained about the wind. Jumping on the ferry and realising that I’d booked the wrong way (harwich to holland rather than holland to harwich) I was fortunate enough to get a room. I’m just about to head to sleep now. 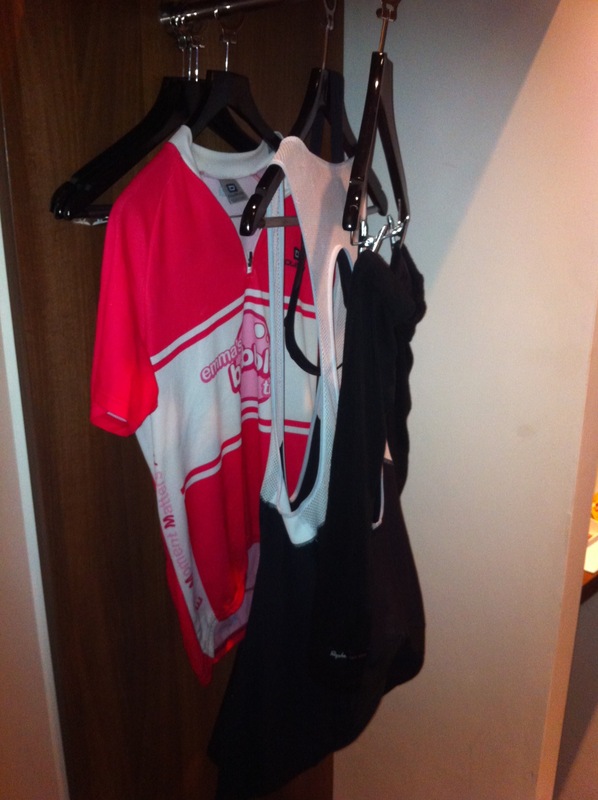 90 miles tomorrow! Day 5 of cycling solo and the body is starting to hurt. I can’t wait to be out of the saddle. After 96 miles today, of wind, national parks, flat terrain and two different countries, I’m certainly starting to go a little mad. I’ve found myself singing to myself as my headphones have broken. 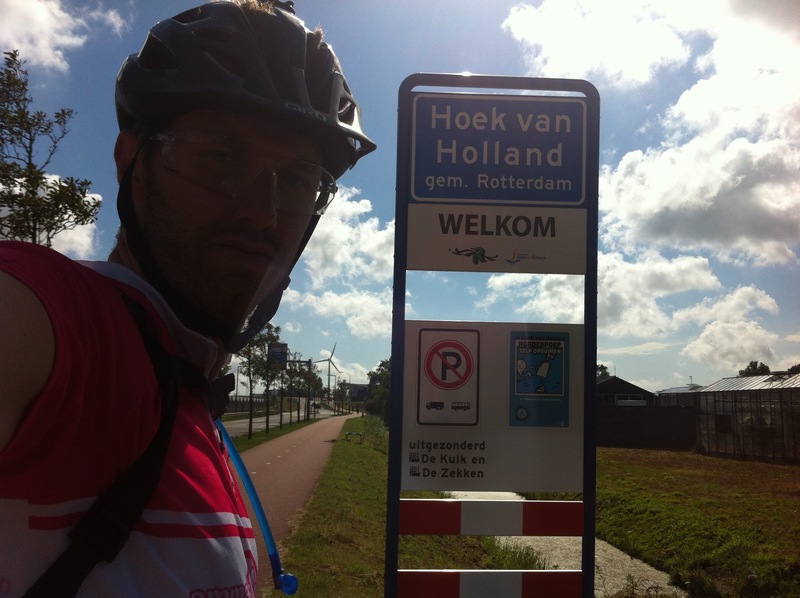 The riding itself is going well though and as I’ve now crossed the border into holland theres a lot more sign postage. It makes getting around a lot easier and less reliant on the Garmin, which still manage to add 11 miles to an 83 mile route today and sent me down so very sandy non paths (see below). I’ve come to expect that now. I’m just pleased I’m on a bit more of a sturdy touring bike than a road bike. Speed is something of an issue, but I’m not going to punish myself doing as many miles as I am and carrying as much weight. It was nice to get on the tail of a weekend roadies tail with an average of 19mph along a short stretch. 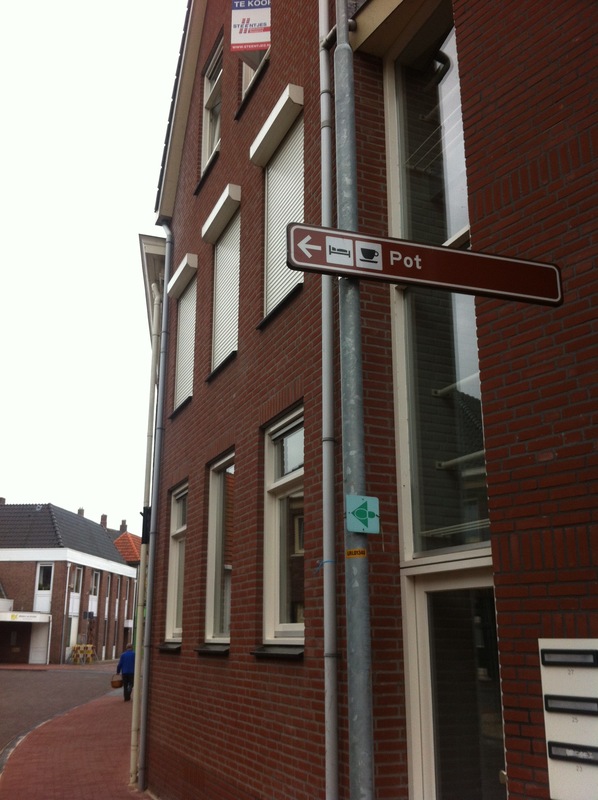 I also stopped in a great little town called Doesburg for a toasie and a coffee. 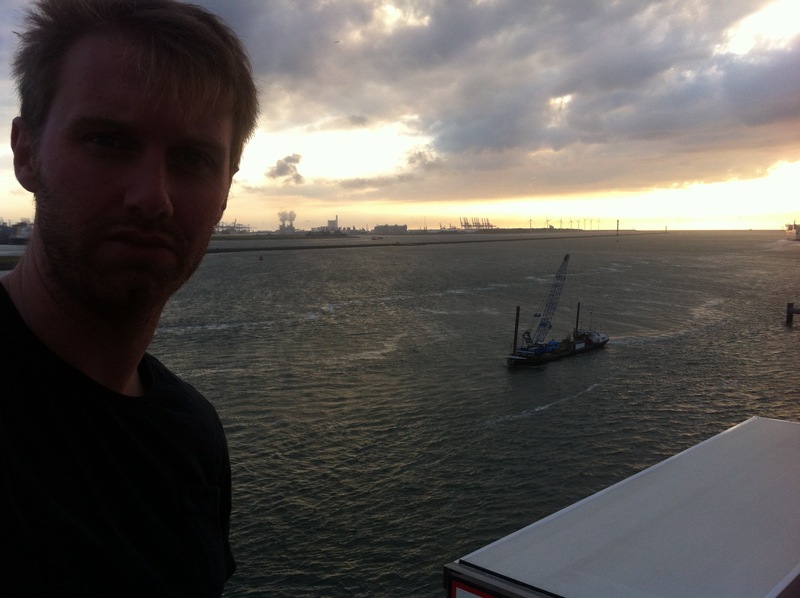 Touring is much nicer in The Netherlands where a lot more people speak English and seem to be a little more helpful. Only 2 days of cycling to go now. The last few days were tough, with my Achilles aching, Garmin becoming unruly on these continental roads and mentally feeling a little crushed from the 150 mile day 2. So today I set out to get over “hump day” the middle of the planned trip. The route from now Bielefeld to Ahaus, had shortened (albeit theoretically) todays journey, but I still managed to overcook the Garmins prediction of 66miles with 84miles in the bank and a great day mentally. An early, cold, set off put me in good stead with 30 miles completed by 10.30. Things were going well on good roads with lots of little towns passing me by. I eventually stopped at a Bakarei and attempted to order a sandwich with cheese and ham. 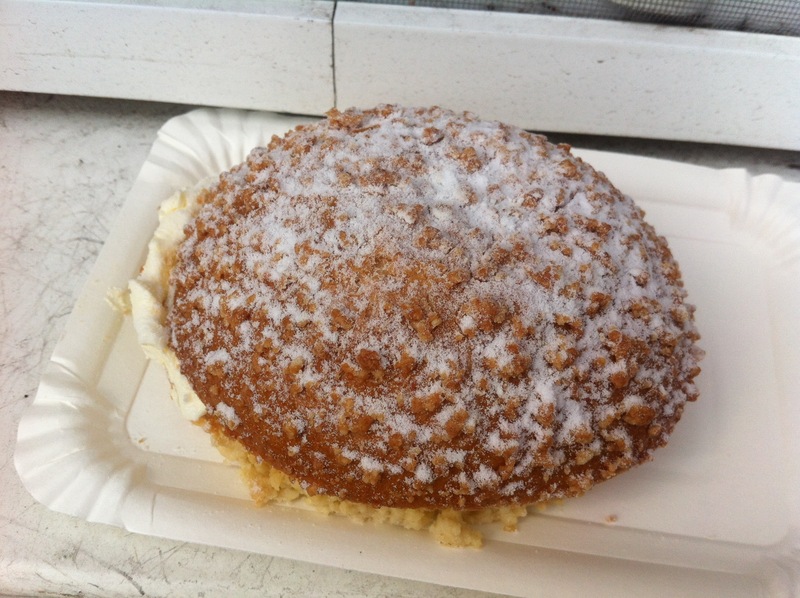 I was given a ham and also got a creme pastry (below) which really filled a hole. I was also talked at by an older German man who informed me that from what I could tell when he was younger he’d cycled 5000km. No mean feat! As the approach to Holland gets closer and closer the westerly wind is certainly taking its toll slowing progress somewhat. You can tell how close we are from all of the windmills. 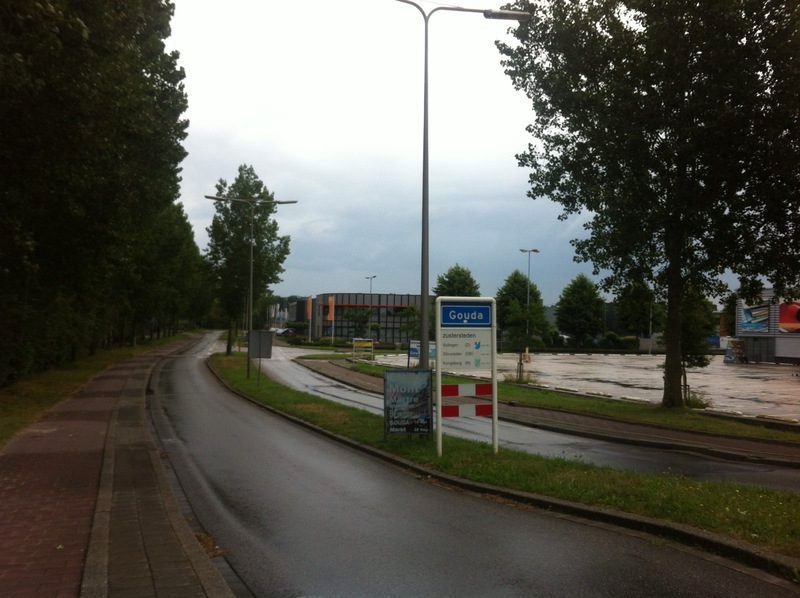 However I stuck at it and before long signs for Ahaus were being displayed. 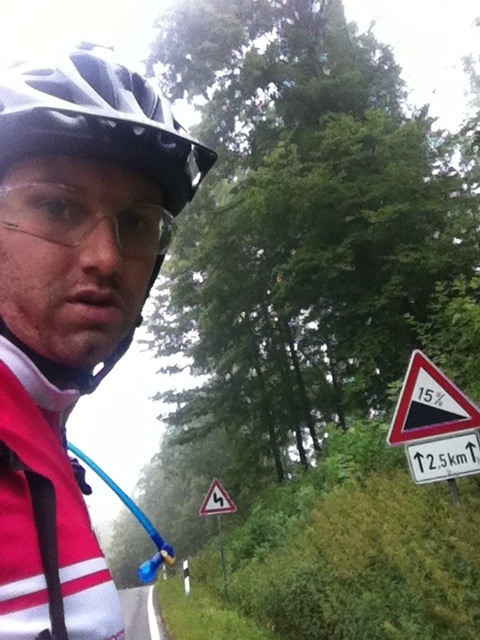 One last climb and an eventual 7% descent allowed me to get up to 37mph, a welcome change from the flats. 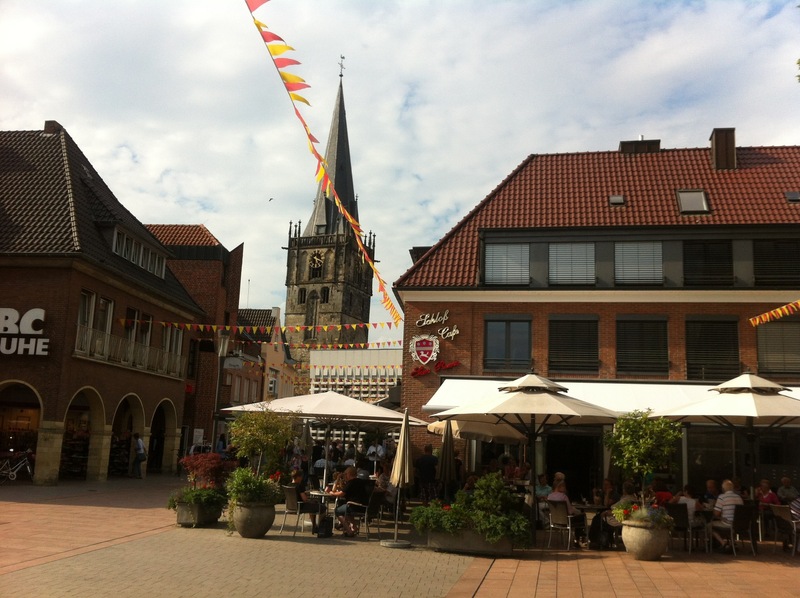 Entering the small town was a treat, especially on a Friday where the locals are out in force enjoying ice creams in the square. The hotel is the nicest so far and still not too expensive. 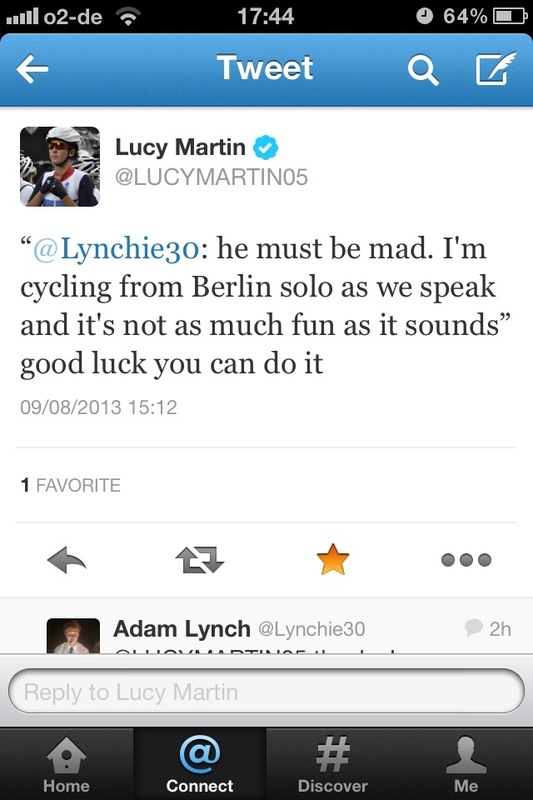 Wifi is free so I’m making full use and even tweeted Olympic cyclist Lucy Martin whose friend is cycling a 1600mile solo ride sometime soon. A minute later I received a reply, which is always an honour from an Olympian. It’s topped the day off…along with this beer. Here’s to tomorrow. I have a two confessions. Firstly i hate the garmin. Calculations on garmin connect and the garmin itself are totally different and the mileage from the device only works out how far point to point you’ve got to go, so you end uo going stupidly tough routes and finding out you’ve then got even further to go than you thought. My second confession leads on from the first. I’ve cheated myself. I cycled 30 something miles to then be told to go back on myself again adding 40 more miles to my journey. I wasn’t doing it, not today, not after Tuesday, not after the unexpected 15% climb for 4 miles and certainly not after the 15% descent through the mountains on wet roads carrying this much weight. And so I confess I took a train. In fact I took 5 trains totalling 3 hours of travel to get me to a place where I could then add more mileage but still be in a safe place before dark. I think I’ve managed to rack up 55ish miles today. Google it’s 90. I’m going to go with the later, just so I’ve got it in my head that’s how far I am going. 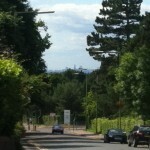 Positives of the day are that I managed a huge climb with panniers on. I certainly feel sorry for a pal who is currently on a trek from Barcelona to London taking on the Ventoux with a similar setup to me! It’s also a lot cooler today. Only 13 degrees. I had to put the jacket on, but at least I’m not losing as much water to the heat. After the sad news this morning I decided that it was best to enjoy Every Moment by spending the day in the town of Goslar. Beautifully situated just north of the mountains the small township is baked with history dating back to the 12century. After an original trek into town to the bank and to buy an iPhone charger, I headed back to the hotel for a bit of r&r at the spa. A gentle swim followed by an intense hot sauna cold shower combo, helped my aching body. How the pro’s do this day in day out I don’t know. Carb loading for lunch was followed by more exploration of the town as seen above. Apparently the square or “marketplatz” hosts a very famous Christmas market and is every year covered in snow. Enjoying a beer here while watching the bell show from the bell tower, I returned to the hotel for an intense planning session for tomorrows ride. I’m sill very confused on the route to take as Garmin 800 and Garmin Connect are telling me two different things to the equivalence of 20 miles. So I’m not sure how it’ll be yet. Wish me luck! As I sit here now in the hotel in Goslar, a small historic town in the mountains just outside of Wolfenbüttel (where they make jägermeister), all I can think of is the distance that I cycled yesterday. The Garmin clapped out at 129.51 miles and I had forgotten to click start for about 10 miles, and continued on after it had until the next major town. 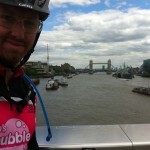 I believe I cycled 150 miles even though I was meant to be cycling 90. The Garmin had routed me wrong causing me to head back on myself for a large wave of the trip. I must check the route properly today. Today I’m a broken man. My Achilles are completely shot, I continue to be covered in sweat rash and the mosquito bites have matured to full itchiness. 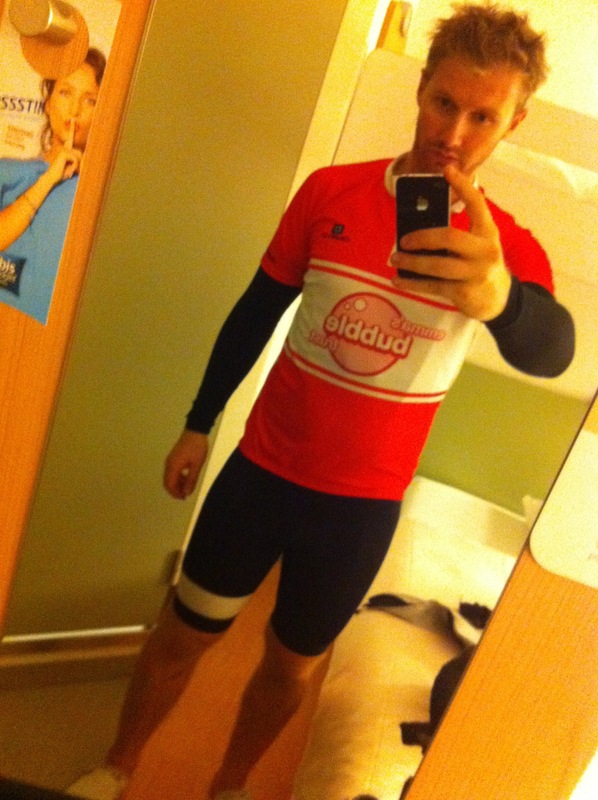 With all that said though…I cycled 150 miles yesterday. It’s the most incredibly emotional feeling to have cycled that far and getting so close to the £2000 target for EBT is making things even more special. The ride itself wasn’t actually too bad, just long and very hot. I drank about 10 litres of water and stopped in some great little towns. 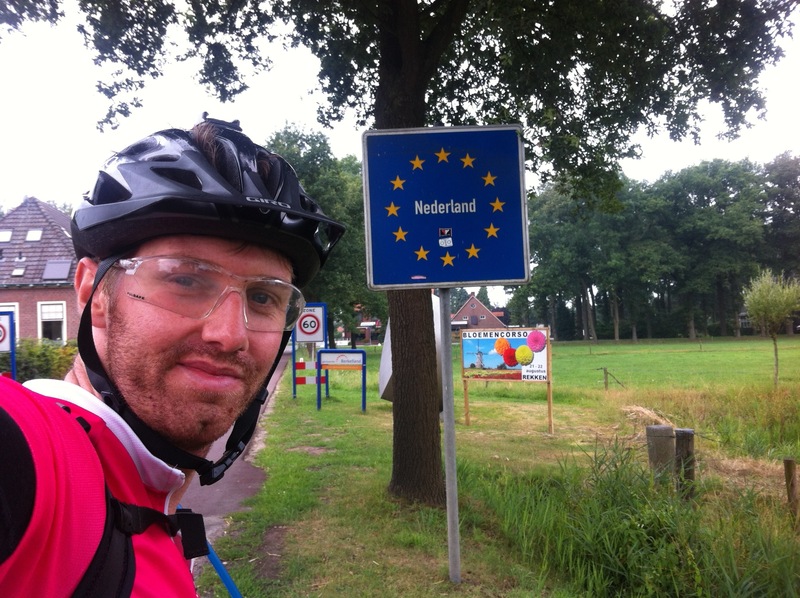 I met a family who had cycled with their 11 year old daughter from Amsterdam in 9 days. That really spurred me on and gave me the boost I needed. I woke up this morning in pain, with the idea to carry on to Detmold, but as I sat in reception talking to an older english lady whose husband had passed away this morning from a heart attach, I had the realisation that the strap line “Every Moment Matters Always” couldn’t be more true. So I’ve decided to stay an additional night and enjoy my surroundings. Day 1 of the Berlin Challenge is now done and dusted and I know that a lot of people have requested that I write a blog about my experiences of cycling abroad and raising money for such a fantastic cause. As I sit here now the total money raised sits at £1672.62, from 71 donators. I really can’t thank you all enough if you are reading. So how is the cycling? Well my first thing to tell you all is that you really shouldn’t decide to do a big event after a weekend on the beers in 30+ degree heat. 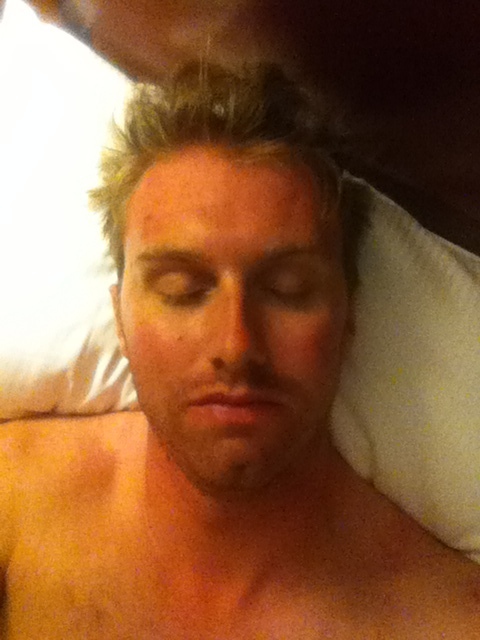 I’m dehydrated, covered in heat rash and ridiculously tired. 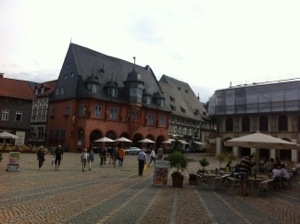 But that said cycling in Germany is undoubtedly one of the best experiences I’ve had cycling. Nice wide avenues, preferential treatment for cyclists and less bikes than Amsterdam, it sounds like a cyclists dream…and it is, if you’re into the flat straights that the city has to offer. For me with it being so flat has helped and has made it the perfect experience so far for a rookie tourer who’s carrying 30kg of bike and gear. The day itself has been nice, with 28 degree heat and some fantastic bike paths practically the whole length of the journey. It’s also my first time properly using the garmin for touring and while it’s been great in certain situations, it’s been a nightmare in others. 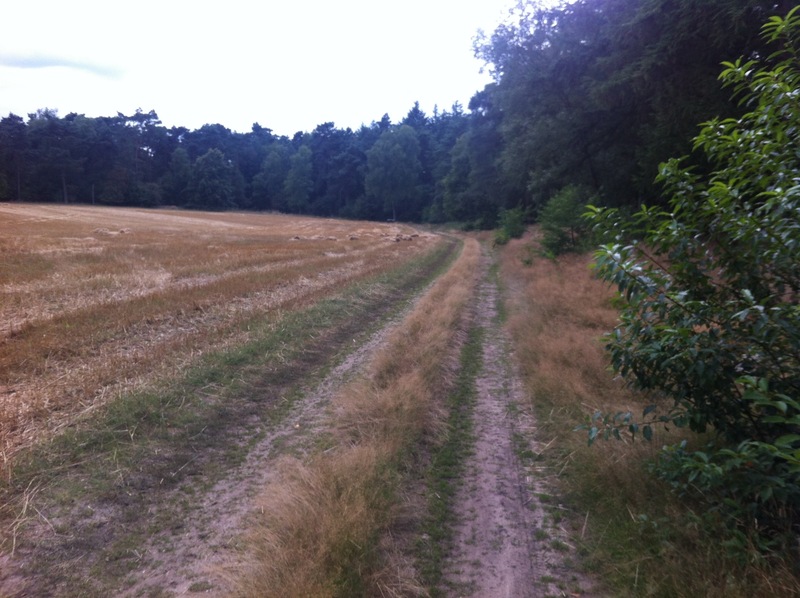 Today alone I found myself on sandy “unpaved” paths, attempting to access a motorway (to be stopped by a police man) and in the middle of a bug infested forest on a non bike path. I’ll show you the evidence as soon as I can. So what would be my advice for anyone touring? Plan your route properly. 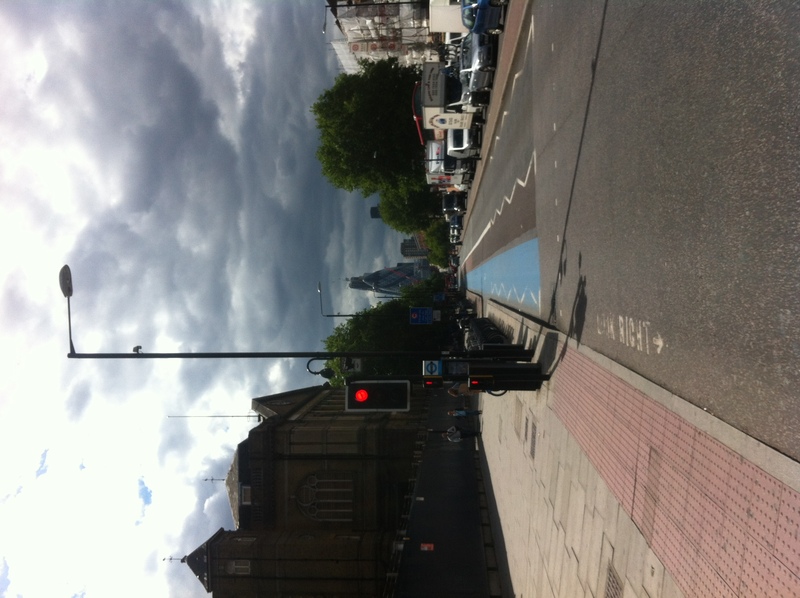 We’re lucky in the uk that the majority of pathways and routes are kept clean and up to date. It’s not always the same abroad. Bring bug spray. I’ve been bitten to shreds. Get a camelback. It’s allowing me to carry an additional 2ltrs of water and keep on the road longer. Bring spare zip ties. They’re so amazingly useful. Bring some luggage straps. My tent would be left behind had I not. Tomorrow looks set to be hot again, and with a more hilly 145km to cover I’d best be getting to bed.